Mineral sands producer Iluka Resources ((ILU)) had a slow start to 2019 but brokers are generally comfortable guidance can be achieved. The company has pointed out the first quarter can be soft for seasonal reasons and sales remain in line with historical averages. First quarter production was mixed overall, with a seasonally weak zircon market, a planned outage for synthetic rutile kiln maintenance and a delay in shipments affecting sales volumes. Commissioning of the Cataby project in Western Australia is progressing and heavy mineral concentrate will be transported to Capel in April. Zircon output was higher than Macquarie expected at both Jacinth-Ambrosia and Cataby, while rutile volumes were lower at Cataby and Sierra Leone. Cataby also produced much lower ilmenite than the broker had expected for an early ramp-up phase. With construction now complete at Cataby, the company expects total capital costs in the mid $250-275m range. The project is forecast to produce 50,000tpa of zircon, 30,000tpa of rutile and 370,000tpa of chloride ilmenite. The company has also commenced a feasibility study on the extraction and processing of monazite-rich tailings at Eneabba (WA), a new project that Macquarie suggests offers upside risk to base case forecasts. The study is due for completion in the September quarter. Iluka Resources is also continuing to assess the Wimmera (Vic) fines project. Shaw and Partners believes the stock is ripe with potential, given its market position, balance sheet, well-timed acquisitions and a handy iron ore royalty. The broker emphasises the mineral sands product is not commodity-based, although acknowledges a demand/price tailwind is a pre-requisite for outperformance. 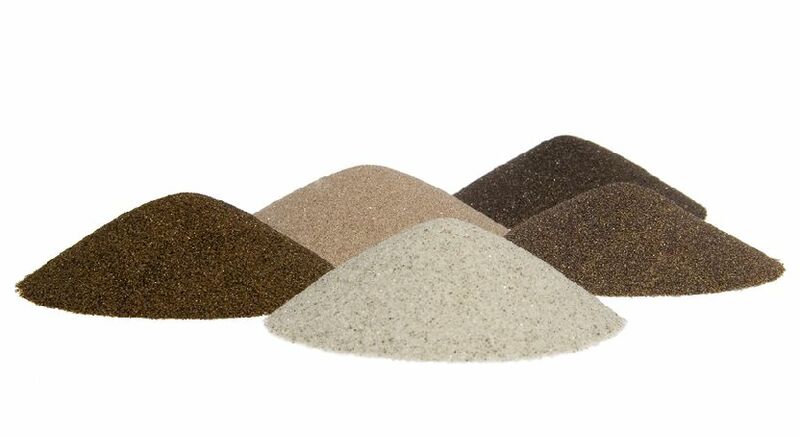 Shaw and Partners is more positive on the titanium dioxide segment (pigments) relative to the zircon aspect (glazes). The broker, not one of the eight stockbrokers monitored daily on the FNArena database, retains a Buy rating with a $13 target. Ord Minnett points out a sluggish market post the Chinese New Year lead to weaker zircon sales figures. Still, the company has maintained 2019 guidance and signalled subdued Chinese zircon demand, as global trade issues weigh on sentiment. UBS remains hopeful this is simply about seasonality, although warns developments bear watching. Still, inventory is low outside of China and premium zircon supply is tight. Macquarie expects the company will add or subtract volumes in order to keep prices level. For the titanium dioxide market the company has noted strength in the demand for pigment, and in the first quarter was unable to satisfy customer requirements for high-grade feedstock and ilmenite. Ord Minnett suspects Iluka will make a decision about re-starting the SR1 kiln shortly, providing titanium dioxide volume to meet the increased demand.